ARIES fender flares and inner fender liners customize and transform your Jeep Wrangler for the ultimate offroad experience. Unlike the factory flares, ARIES aftermarket fender flares feature a narrowed width to better accommodate large, offroad tires, while maintaining extra side protection for your vehicle. 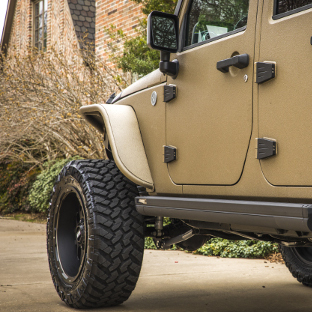 ARIES fender flares and fender liners are constructed from powder-coated stainless steel for maximum resilience to the elements, and they are unique designed for the Jeep Wrangler for a precise, custom fit. Large, offroad tires require more clearance and ARIES fender flares are perfect for the job. They are also available in two finish options, including powder-coated aluminum and paintable raw aluminum. 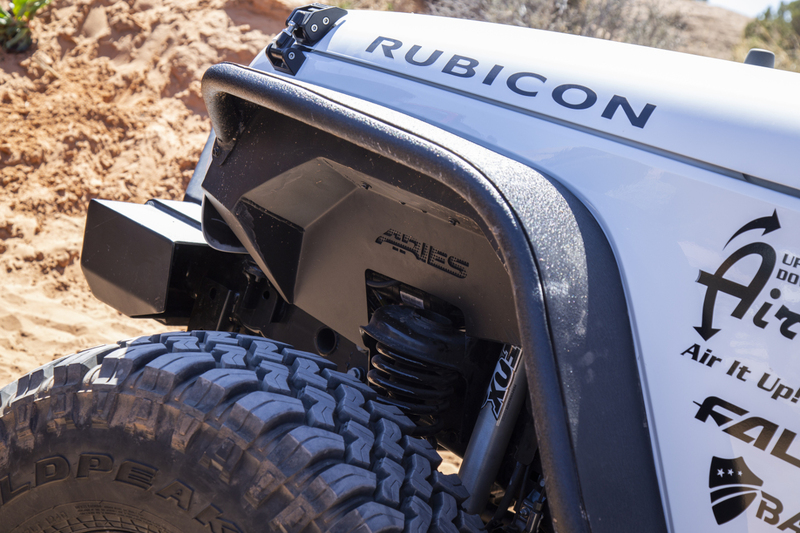 With their powder-coated aluminum construction, ARIES Jeep Wrangler fender flares and inner fender liners are optimized to withstand the rigors of the offroad ride, wherever the trail takes you. You didn't buy that Jeep Wrangler just to park it in the garage, and you certainly didn't buy those offroad tires to keep them hidden. ARIES Jeep fender flares add style and offroad readiness to your mudding 4x4, featuring a narrower width compared to factory flares. 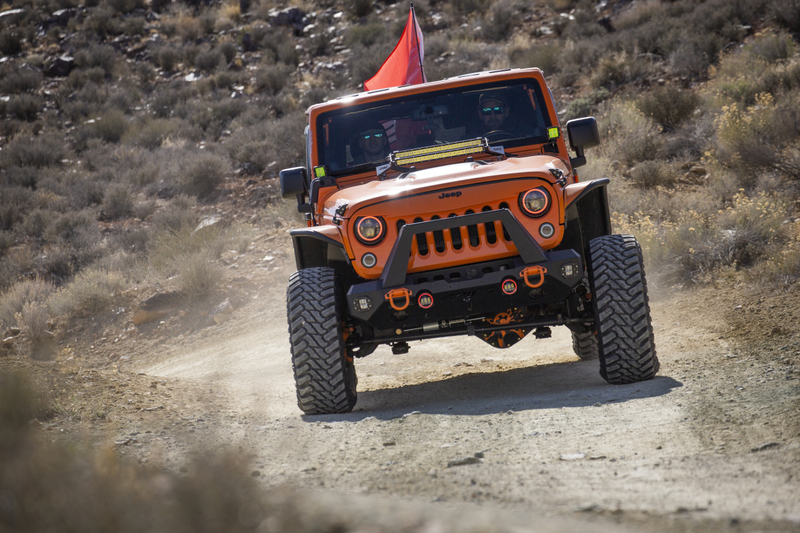 They are uniquely built to show off larger tires, contouring to the body lines of the Jeep and giving it that aggressive, offroad attitude you're look for. 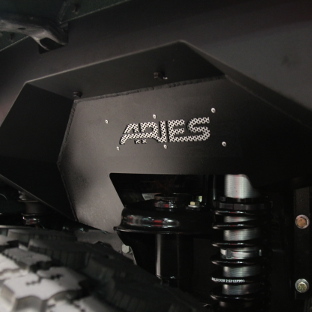 To complement our Jeep fender flares, ARIES also offer inner fender liners for the Jeep Wrangler. These vehicle-specific liners mount in the wheel wells of the Jeep Wrangler, installing in conjunction with our fender flares. They are constructed from powder-coated aluminum, providing more durable and more thorough protection for the engine compartment, compared to plastic factory liners. 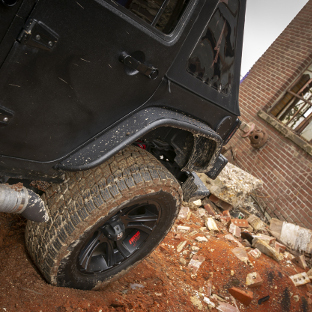 ARIES inner fender liners are available for the front and rear of the Jeep Wrangler for a complete, customized look. 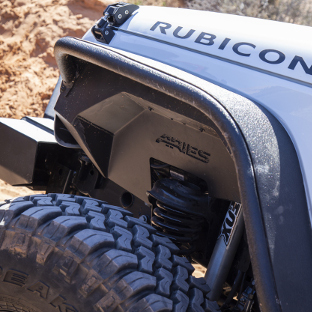 Both ARIES Jeep Wrangler fender flares and inner fender liners are constructed from aluminum, providing stronger, more offroad-ready protection compared to plastic alternatives. Hardened, T6 aluminum is used making the fender flares strong, lightweight and highly resistant to corrosion. We also cover them in a durable black powder coat to add even more corrosion resistance. 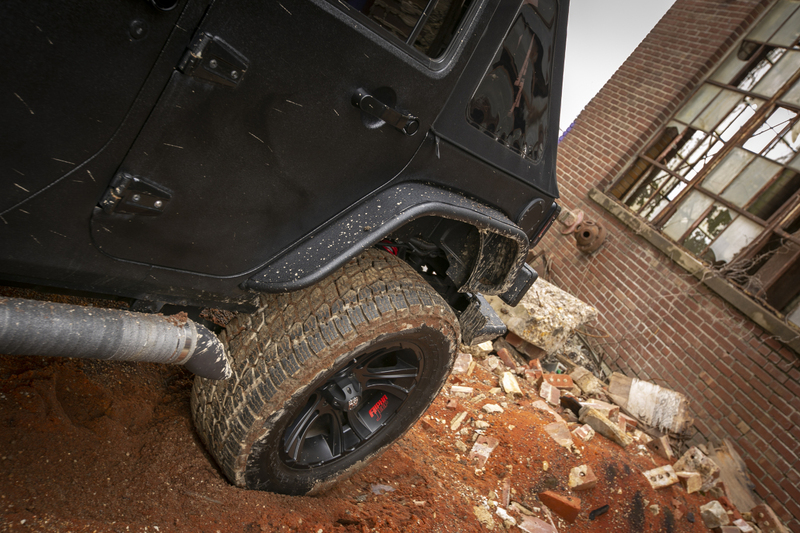 The Jeep fender flares come with a textured black powder coat that helps hide minor scuffs and scratches, while the inner fender liners have a tough carbide powder coat. 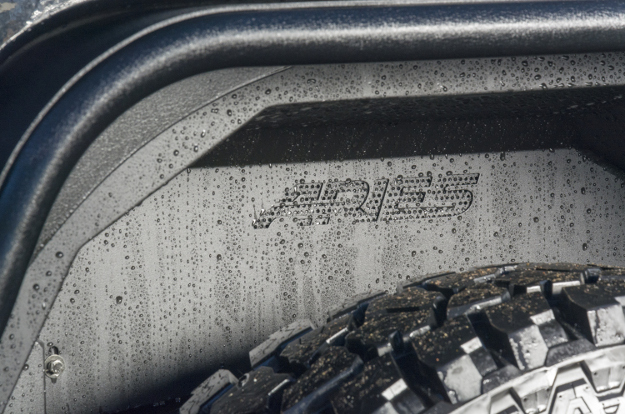 The vehicle-specific contours of ARIES Jeep fender flares offer a precise fit, adding style and functionality your Jeep Wrangler. The flares bolt directly onto the body, replacing the factory flares. 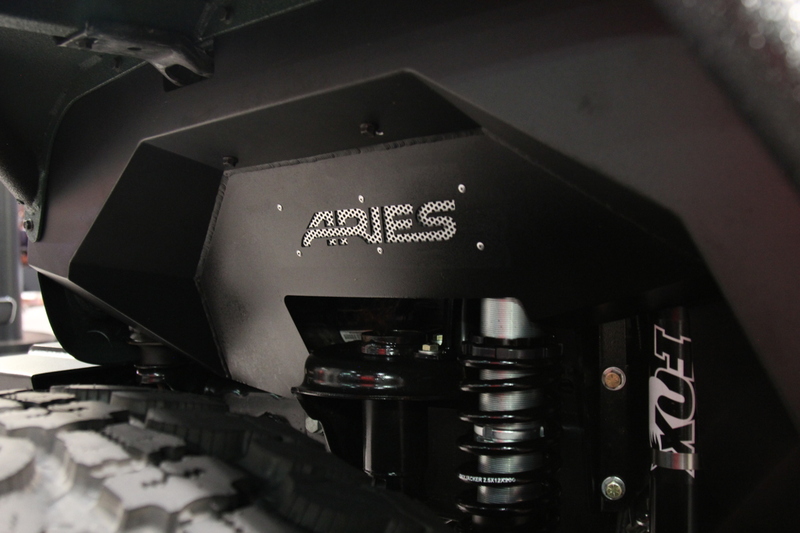 ARIES inner fender liners are designed to be installed together with our Jeep fender flares, bolting into place beneath the flares for a secure and seamless installation. Note: Some drilling may be required for installation. To give you a truly customized look for your Jeep Wrangler, ARIES fender flares are available in a raw aluminum finish. The raw aluminum comes ready to be painted whichever color best matches your custom offroad build. 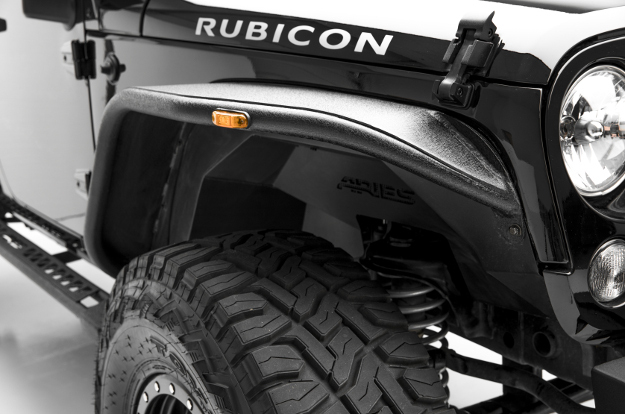 The raw aluminum option is available for both the front and rear fender flares for a variety of Jeep Wrangler models. 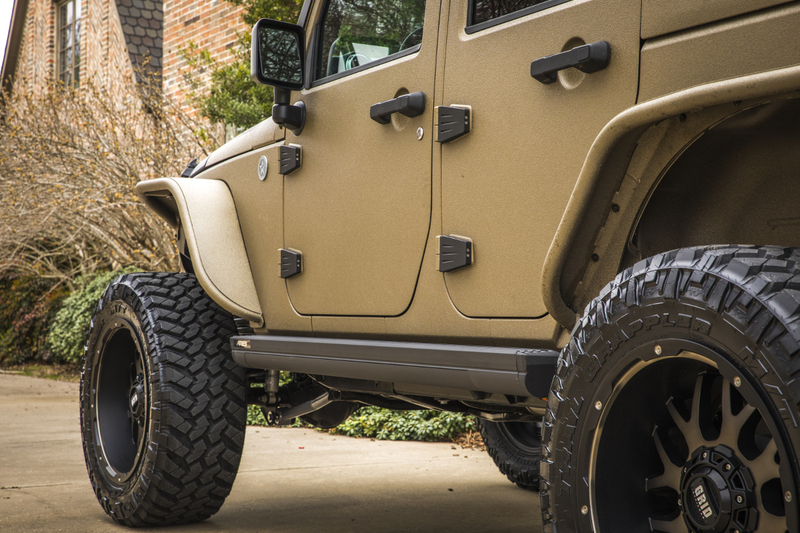 ARIES Jeep Wrangler fender flares are designed to replace the factory fender flares. As such we offer LED side marker lights to replace the side markers on the factory flares. These LED side marker lights are long-lasting, weather-resistant and DOT-approved. They splice directly into the factory wiring, and the wires can be routed through the fender flare tubes for seamless integration.